One of the things I enjoy about writing a fiction series is deciding how to keep my characters moving forward across several books. 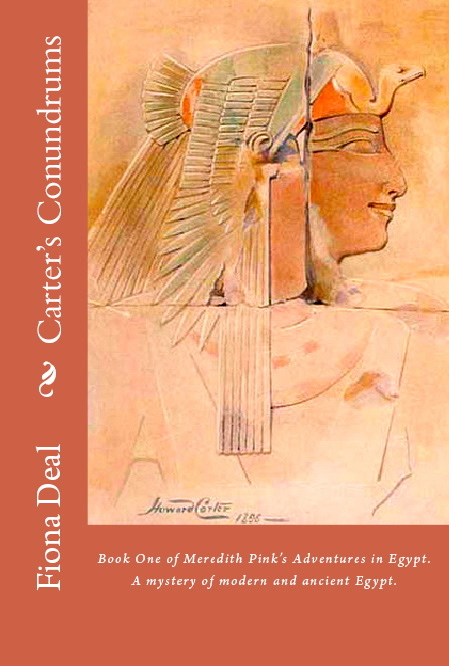 For the first three books in my series following Meredith Pink’s adventures in Egypt, starting with Carter’s Conundrums, my main character was on a tourist holiday, staying at the Jolie Ville hotel, situated on its own island in the Nile in Luxor. As the series developed, I needed to find a way for the central British characters to remain in Egypt. They needed to progress from tourist visas to working visas, and find somewhere permanent to live. And so the idea of having them own and run a restored Victorian dahabeeyah was born. 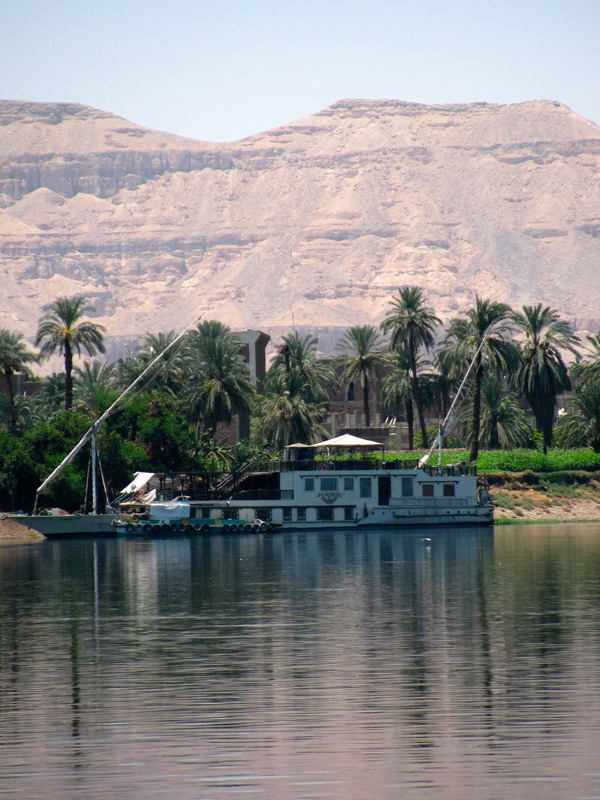 In Farouk’s Fancies they are setting up in business offering luxury Nile cruises to discerning travellers. From the 1850s through into late Victorian times, the dahabeeyah was the standard way to travel up and down the Nile. ‘Dahabeeyah’ means ‘golden boat’ in Arabic. The prototype for the Victorian version can be found on tomb and temple walls in Egypt and has changed little in design since pharaonic times when the royals and nobles painted their boats gold. Amenhotep III had a Nile sail barge called ‘Aten Gleams’. The dahabeeyah started to lose popularity when Thomas Cook, a pioneer in travel, who single-handedly invented modern tourism in Egypt, introduced the Nile steam boat. The steam boats significantly reduced the journey time along the Nile. Where the dahabeeyah took a traveller on a grand voyage of discovery, the steam boats introduced the idea of a shorter sight-seeing trip. These were popular with late nineteenth century travellers. 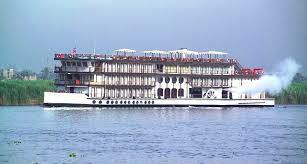 As tourism became available to the masses during the twentieth century, the Nile cruise boats adapted to the increased demand, becoming the large floating hotels we are used to today. 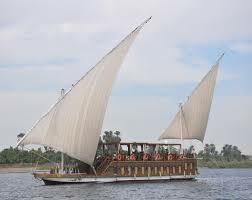 But in recent years there has been a resurgence in those seeking out a more traditional way to journey along the Nile. There are those drawn to Egypt by the lure of nostalgia for the pioneering days of archaeology, as well as the antiquity to be found along the Nile. A number of restored dahabeeyahs became available for hire during the early years of this century. It’s into this niche market that my characters have stepped. Sadly the political situation in Egypt and elsewhere in the Middle East has put tourists off the Nile as a holiday destination. So my characters must struggle to see if they can get their new business venture afloat. Otherwise I may have to dream up another way of keeping them in Egypt so they can continue their adventures. Posted on August 9, 2014 by Fiona Deal. 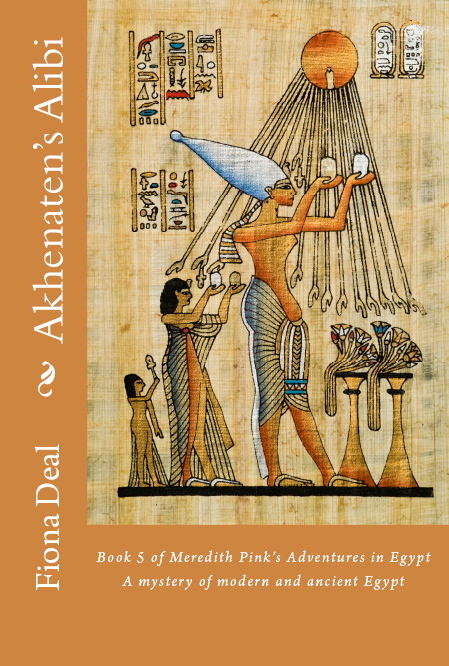 This entry was posted in ancient Egypt, Egypt, egyptian fiction, fiction, History, Travel, Uncategorized, writing and tagged egypt, Meredith Pink, Nile, Nile cruises. Bookmark the permalink. 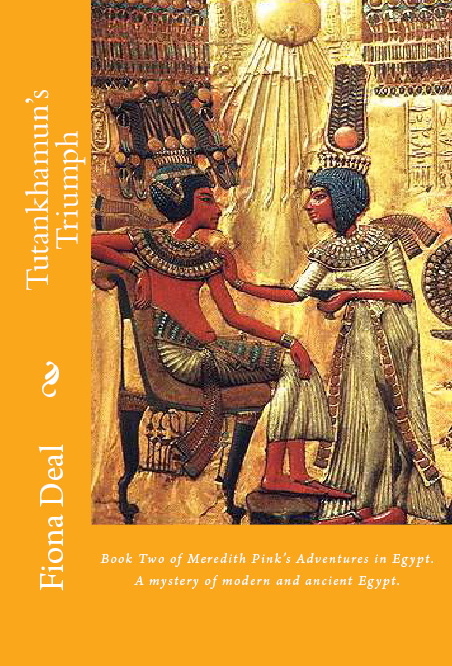 One of the most expensive books I’ve bought – after reading the series I booked a holiday in Egypt – staying in the Mena house hotel in Cairo then going to Luxor and a Nile Cruise. The most amazing fantastic holiday – thank you Fiona for giving me the impetus to go. And I have to say I felt so safe and the Egyptians were lovely and very welcoming! I just want to go back again!